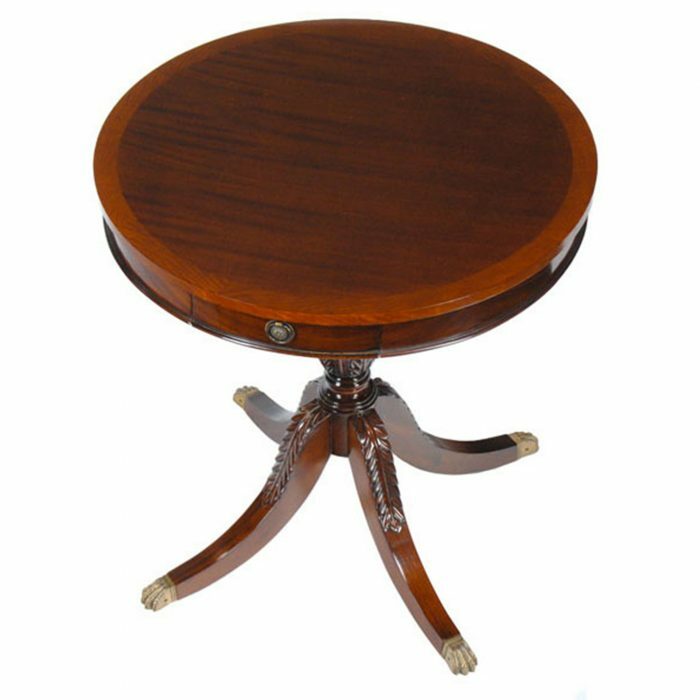 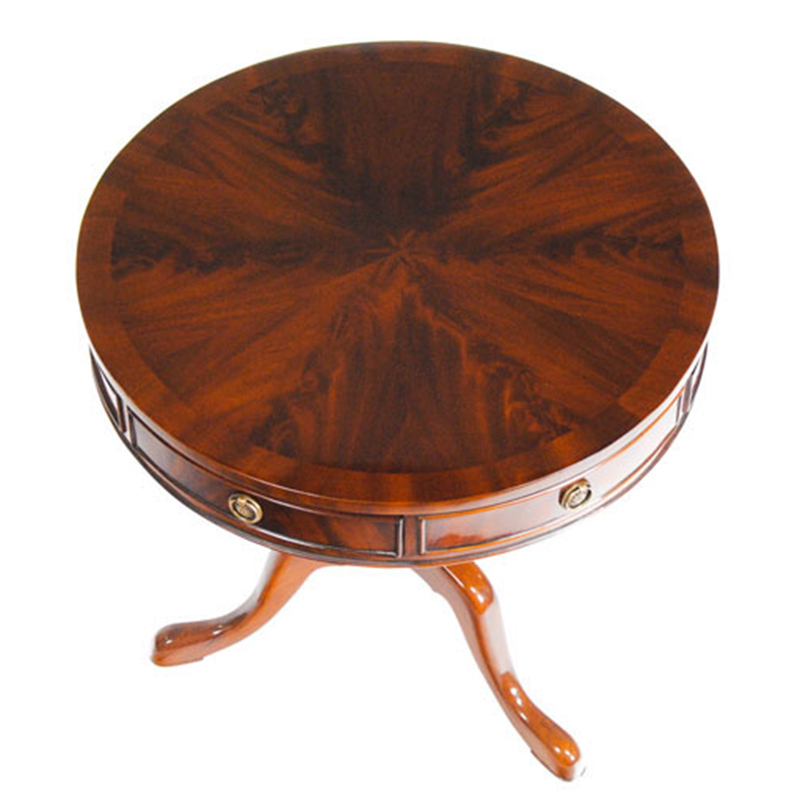 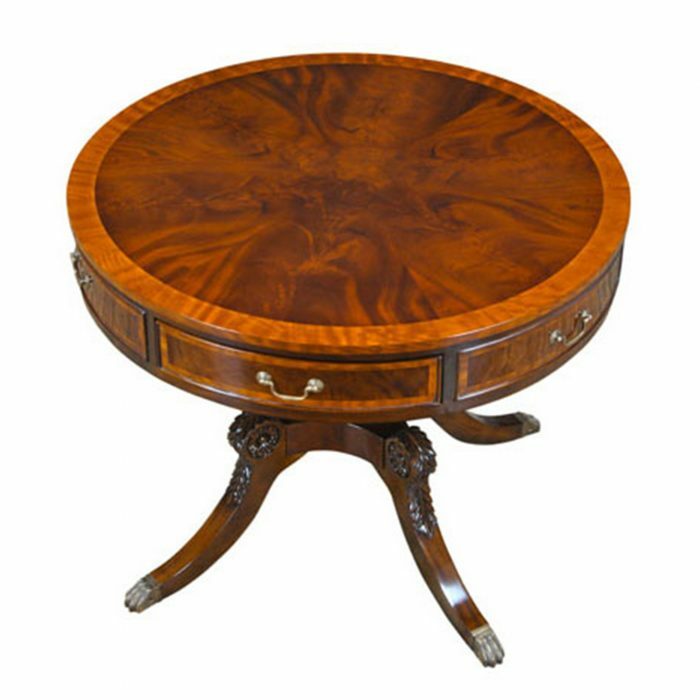 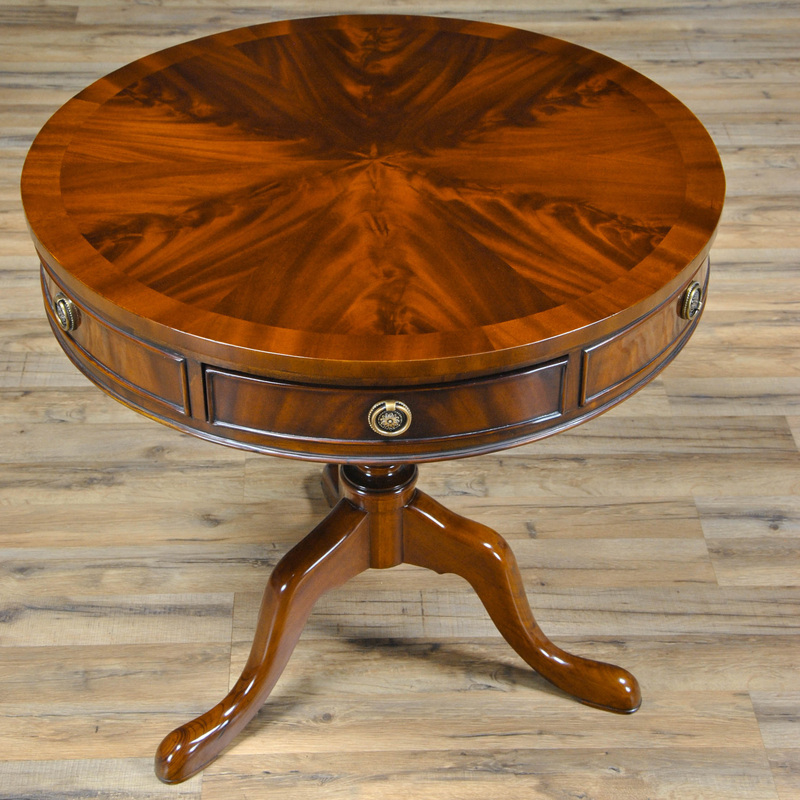 Our Queen Ann style Mahogany Drum Table is a smaller drum table that makes a great accessory item. 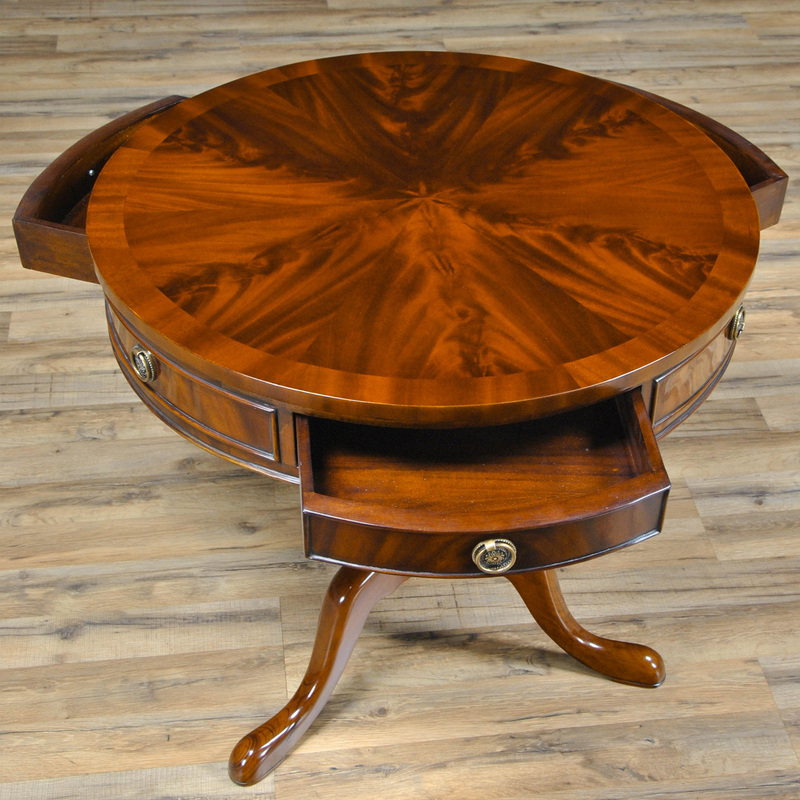 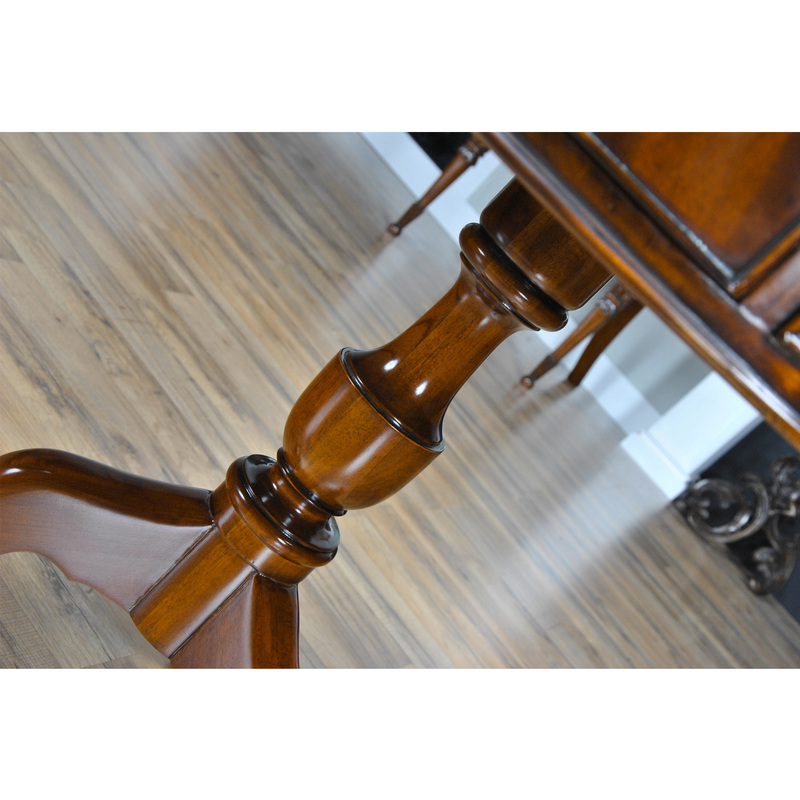 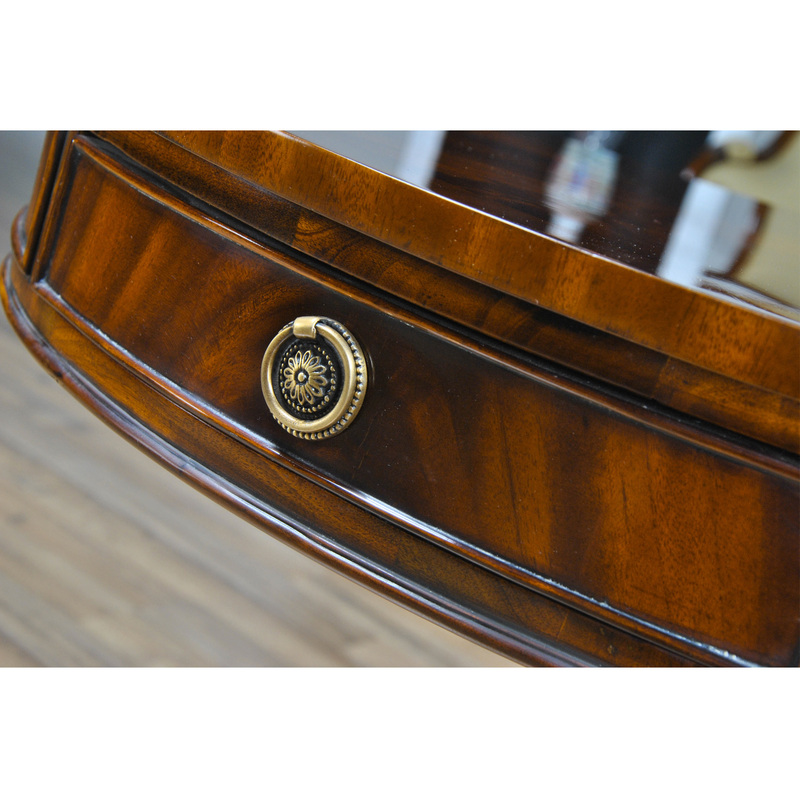 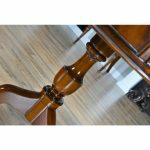 The Mahogany Drum Table as produced by Niagara Furniture features three dovetailed drawers, beautiful banded top, designer hardware, an urn shaped column as well as solid mahogany legs dovetailed into the frame. 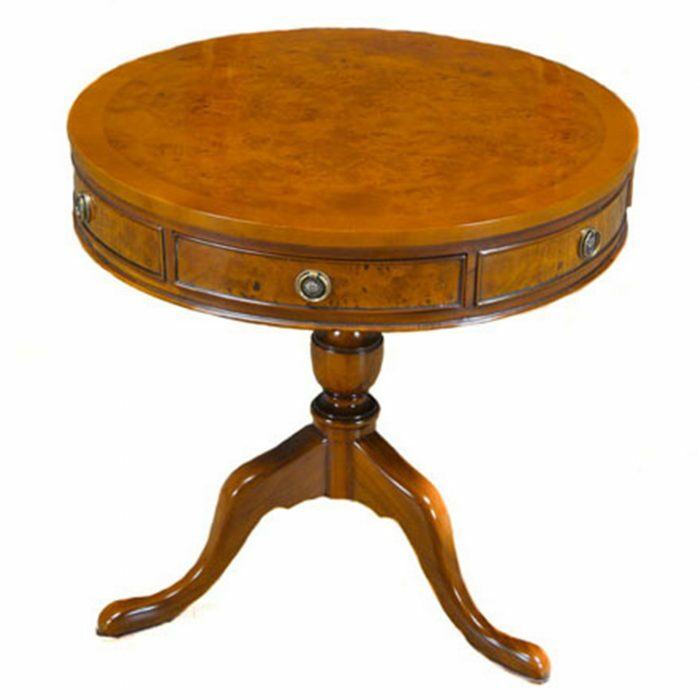 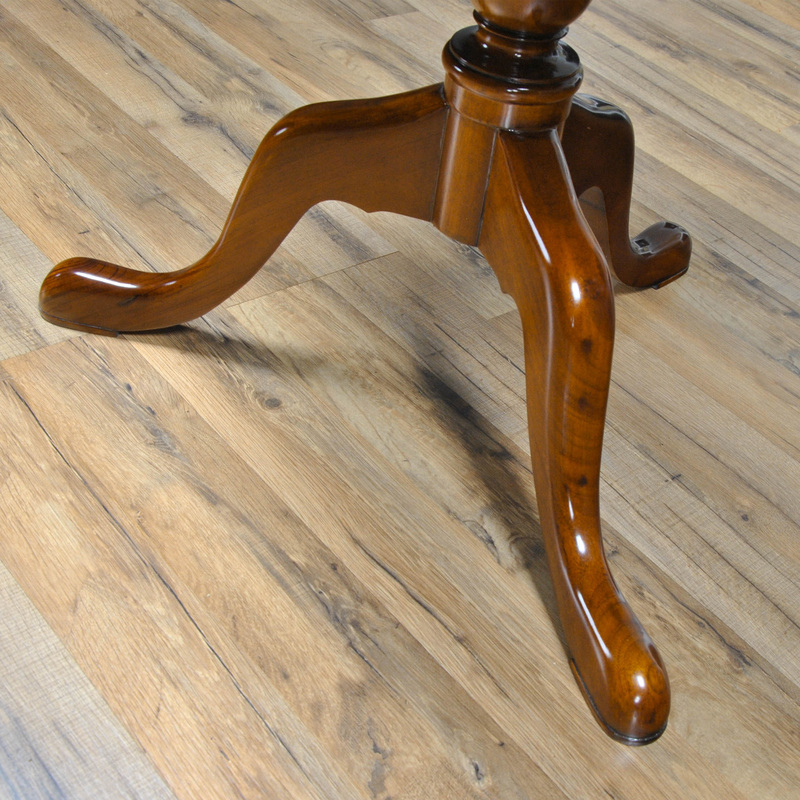 Often utilized as an end table when purchased in pairs these item also stand alone in settings such as the front foyer of a traditional style home. 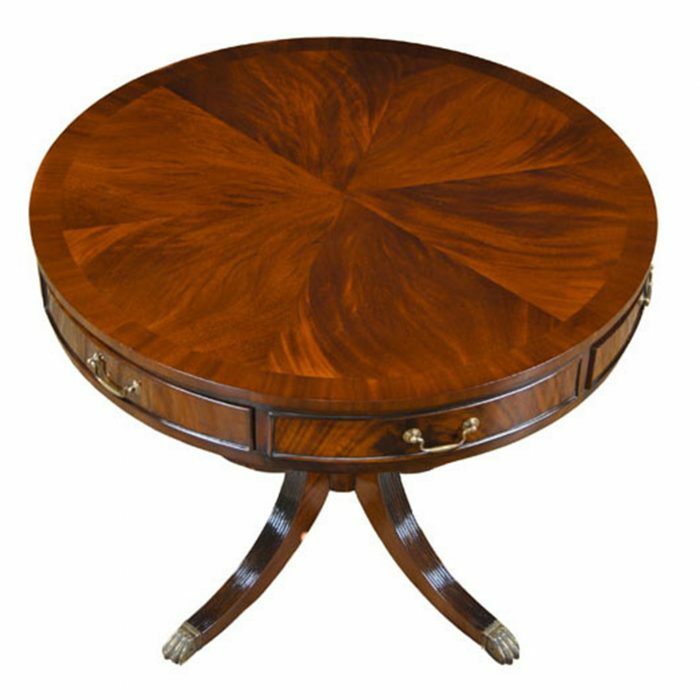 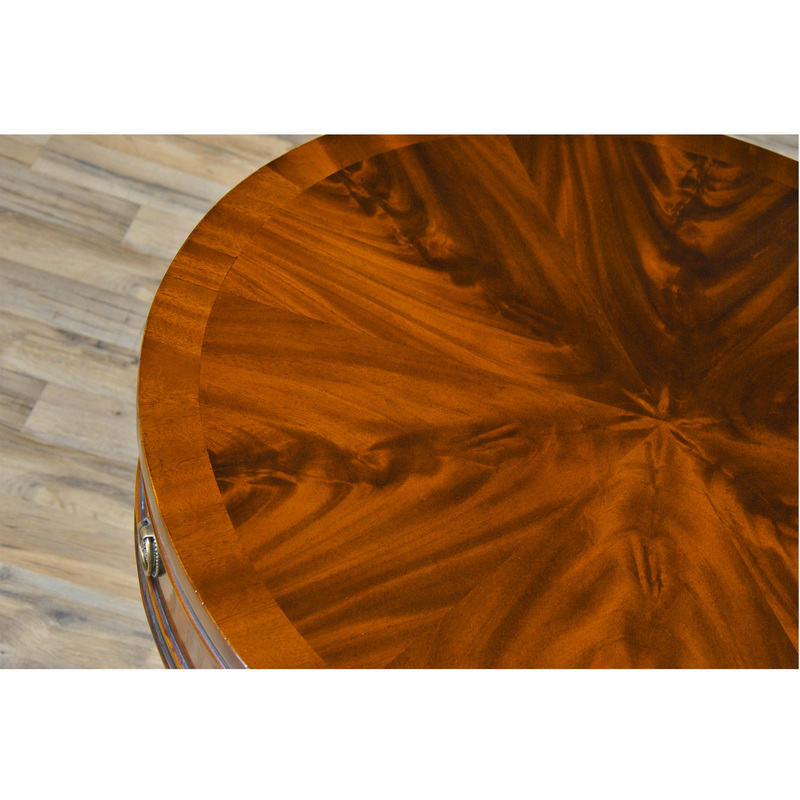 The solid legs and base being produced from plantation grown, sustainably harvested mahogany and the table top veneers are hand selected and matched to produce a beautiful pie shape design.